The Turkey Blocks project supports equality, freedom and online safety for women, as enshrined in our own code of conduct and activities. Gender awareness is at risk of falling by the wayside as Turkey faces an unprecedented series of economic and security threats through 2016. We believe that equality is essential now more than ever to empower vulnerable individuals and rebuild prosperous communities. 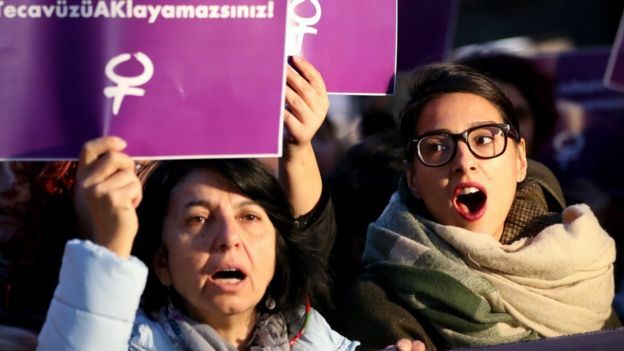 Women in Turkey are disproportionately affected by internet restrictions, online harassment and discrimination. Routine discrimination exists against women in the fields of science, engineering and technology. Laws protecting fair representation and diversity in the workplace are rarely enforced and businesses are not generally held to account for discriminative practices. You can help Turkey Blocks map internet freedom! Check out our information page to find out how. In 2015 Turkey Blocks made its first connections with support networks in Turkey, further reaching out to LGBT networks and other vulnerable communities in 2016. Turkey Blocks has also supported writers, women journalists facing harassment and online threats. Turkey Blocks has run a series of workshop events in Istanbul and Ankara presenting practical advice for practical online safety set to the context of our own technology research work and research on internet restrictions.